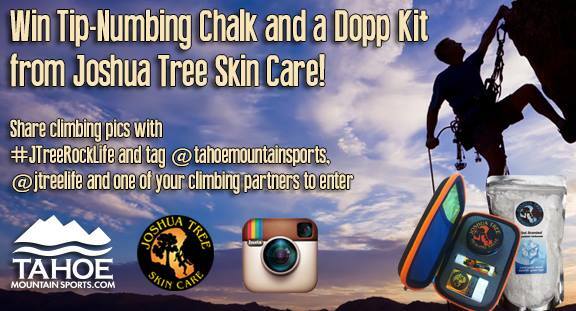 JTreeRockLife Instagram Contest: Share Rock Climbing Pics to Win! 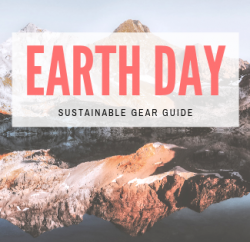 What climber couldn’t use some free organic skin salve for their gnarly knuckles, scrapes and sunburns? And don’t act like your hands are too tough for scented, soothing chalk. That’s like saying you’re too macho to kiss your own mama in public. Nobody is too tough for Joshua Tree Skin Care products. Share rock climbing photos on Instagram with the hashtag #JTreeRockLife and tag @tahoemountainsports, @jtreelife and one (1) or more of your climbing buddies. Tahoe Mountain Sports will pick a winner on August 13 and notify them by leaving comment on Instagram. Winner will be asked to provide shipping information via email. Winning photo based on cool factor (creativity/relevance), not necessarily the highest quality image or number of likes. Let’s see what you’ve got! Anyone who climbs and can take a photo (or have their friend take one) is encouraged to enter. Chalk (100 g) contains naturally soothing sources of menthol. Dopp Kit includes Organic Skin Salve (1.7 oz), Sunscreen (.35 oz) and Lip Balm (SPF 15, flavor: Mountain Mint). Must be 13+ years to enter. Winner pays shipping outside continental U.S.